Jelena Ristic - What is The Label Behind The Epic Blue Dress? Jelena Ristic – What is The Label Behind The Epic Blue Dress? After watching the Australia Open I am like many others, what was Jelena Ristic wearing? I like so many were frantically searching who is the label behind the blue dress? Where did she buy it? Where can I get it? This search is like trying to anticipate how Novak Dojkovic under so much pressure won his fifth grand slam! So this article is simply about, who Gracie Opulanza thinks the label behind the blue dress belongs too? Where did the inspiration come from? 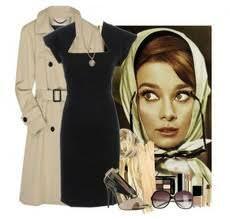 For me Audrey Hepburn, the classic black dress came instantly to mind! The Australian brand, CUE was a strong contender especially when she wore the red dress! I then thought of Victoria Beckham label. Zara came to mind followed by the limited edition for H&M Versace. Reiss was a fashion feeling as the colour reminded me of kate Middleton. Then I decided to use my hawk eye at the flexible fabric, Ralph Lauren, the blue label came to mind? I proceeded to search the bigger brands! A fashionista tragedy at this point as the question remains unanswered. Though one thing for sure the epic blue dress will live on and the frantic designers are manically sewing this gorgeous dress as we speak! It will be in the shops for purchase within weeks if not days!